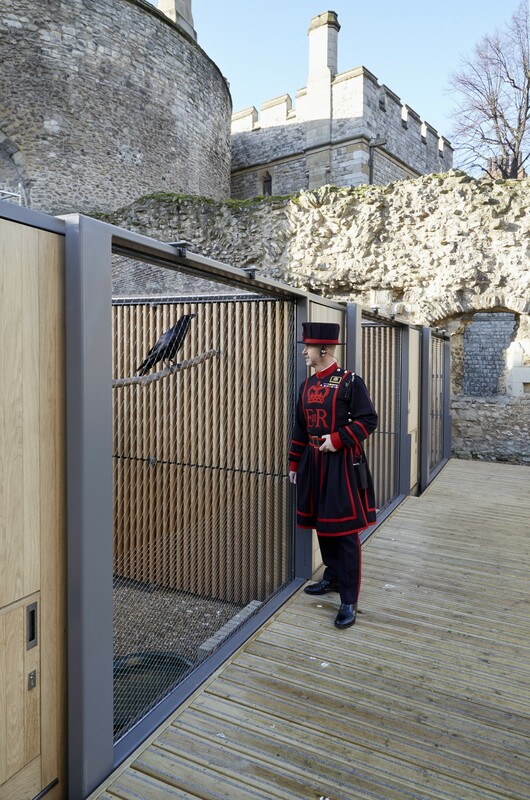 A commission for a new purpose-designed Ravens Enclosure located on the south lawn of the Innermost Ward, HM Tower of London, including interpretation and decking for expanded programme of educational talks and workshops. 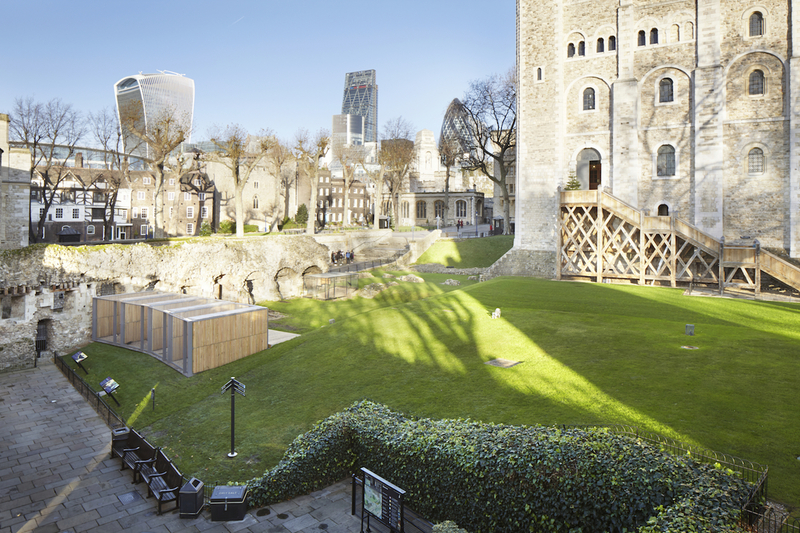 Commissioned by Historic Royal Palaces, the new night accommodation has been created as part of an on-going programme of improvements to the visitor experience at the Tower of London. 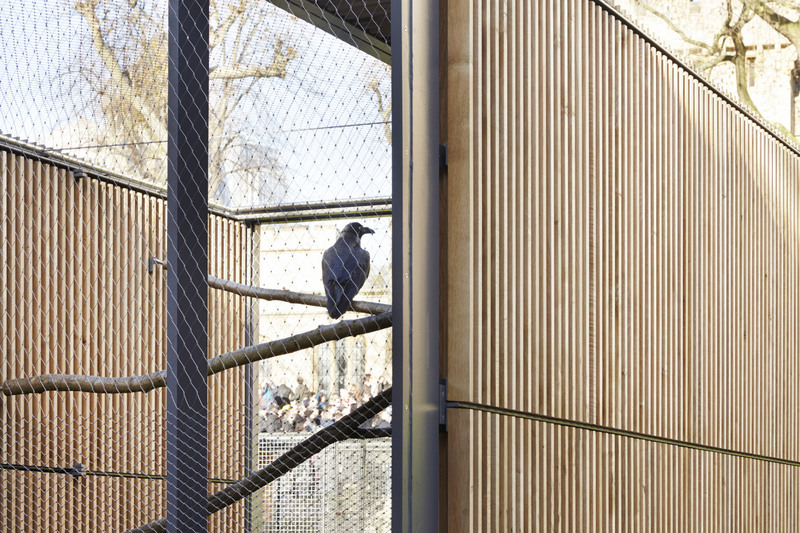 A series of oak slatted structures contain the ravens’ night boxes, and define a series of open spaces between. 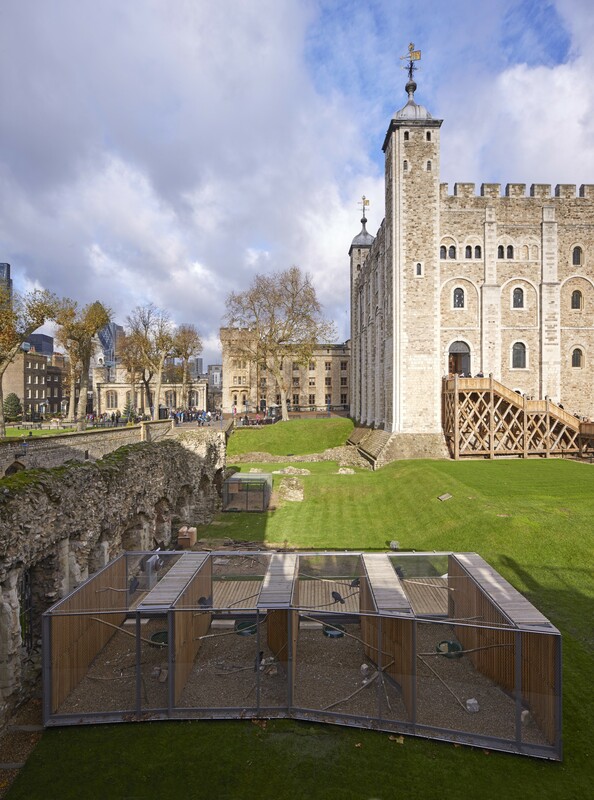 When viewed from the front, the simple, highly crafted wood structures frame the birds in their setting, presenting them against the backdrop of the White Tower. 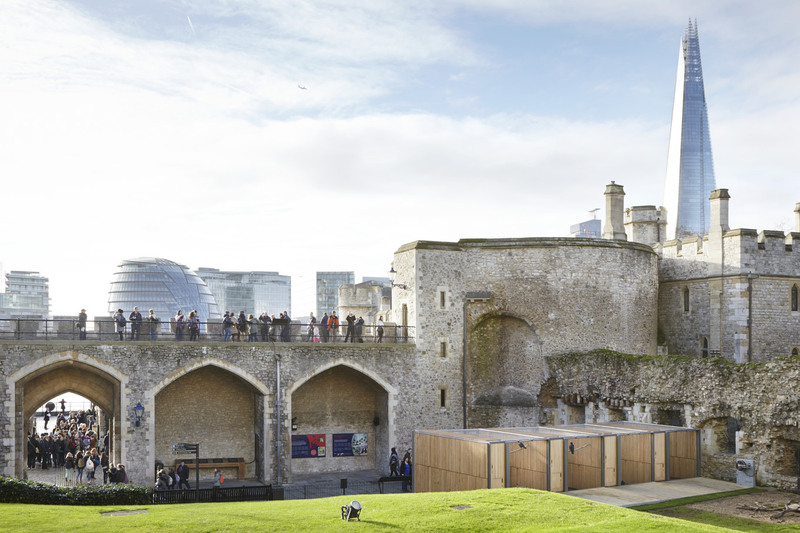 Oak was selected for its durable low maintenance properties, and in reference to the historic use of the material on the site – Timber structures are believed to have occupied the site before the expansion of the Royal Lodgings beyond the White Tower in the thirteenth century. 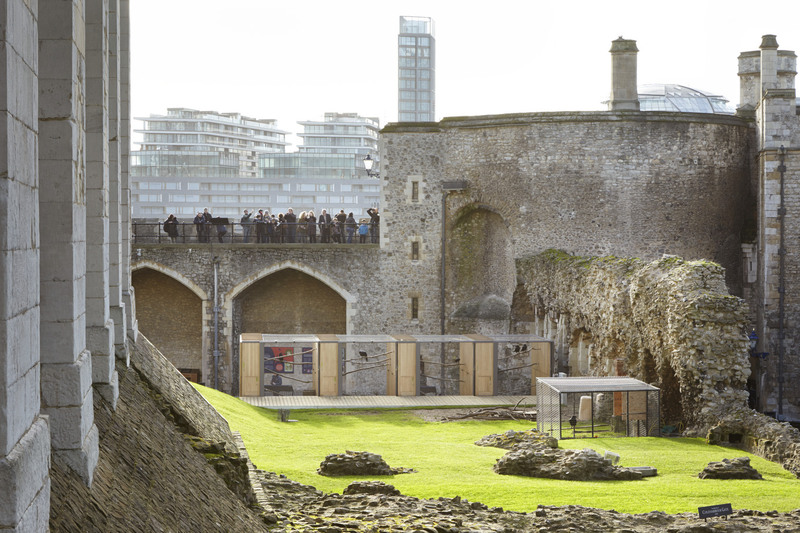 The design evolved through a process of repeated studies of simplification and refinement aiming to minimise the impact of the structure in this historic setting – a UNESCO World Heritage site and Scheduled Ancient Monument. Vertical oak slats bring an implied translucency in contrast to the stone boundary, as well as bringing an intimacy of scale and texture. 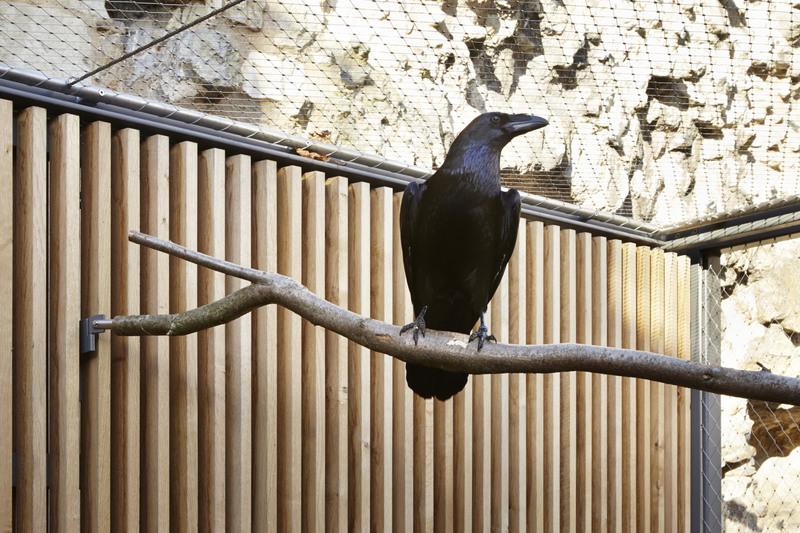 LLA worked closely with the craftsmen in a collaborative process of making and approval. 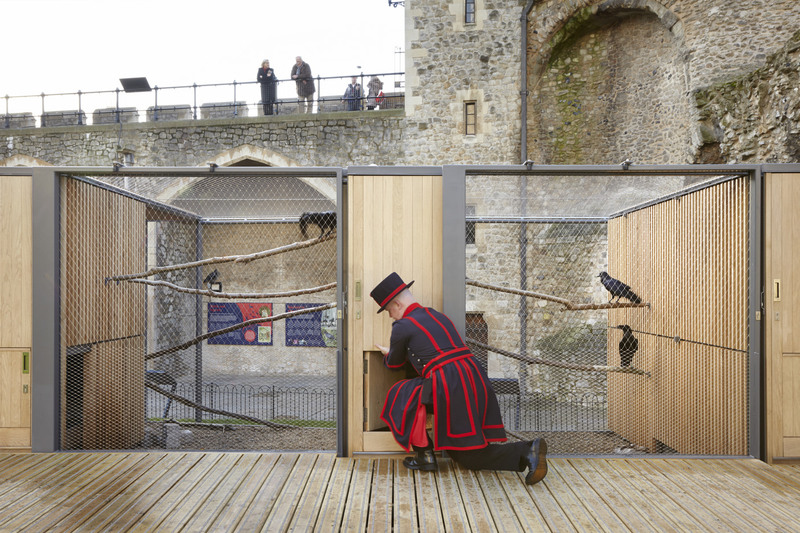 The brief and design were developed in close consultation with the Ravenmaster and with specialist input from the Zoological Society of London. Planning permission and listed building consent were awarded in September 2013. Project completed November 2015. 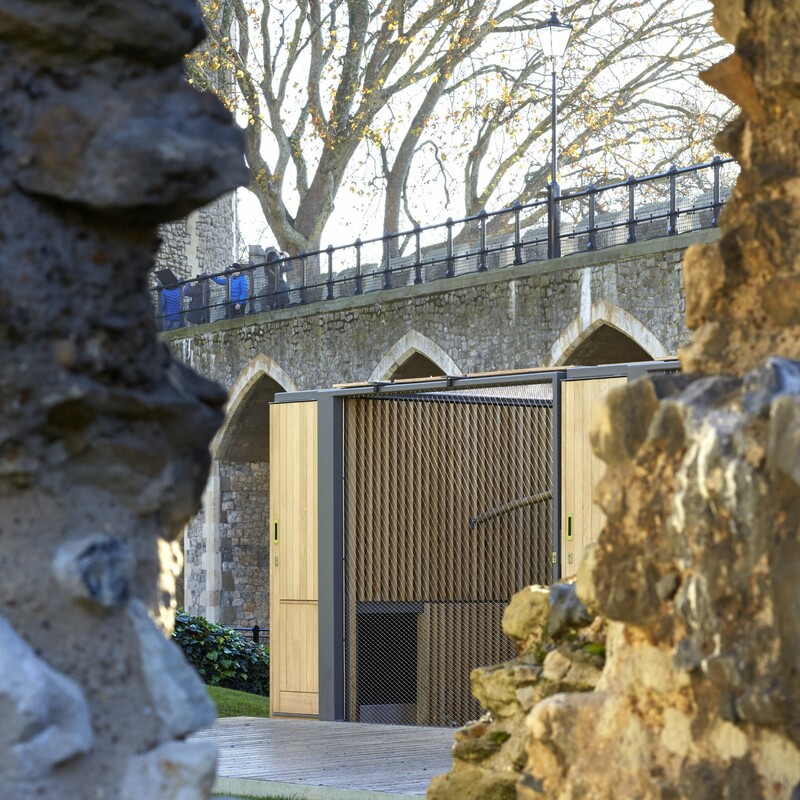 The project has been widely published, and featured in the following: Dezeen, Architects Journal, ArchDaily, Wallpaper, LondonLive, Architectura Viva.